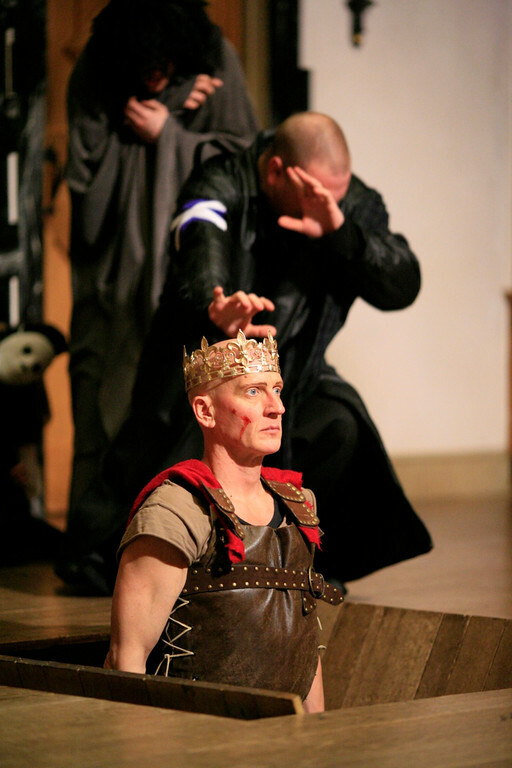 David Loar and Benjamin Curns in MACBETH. Photo by TOMMY THOMPSON. 2008. 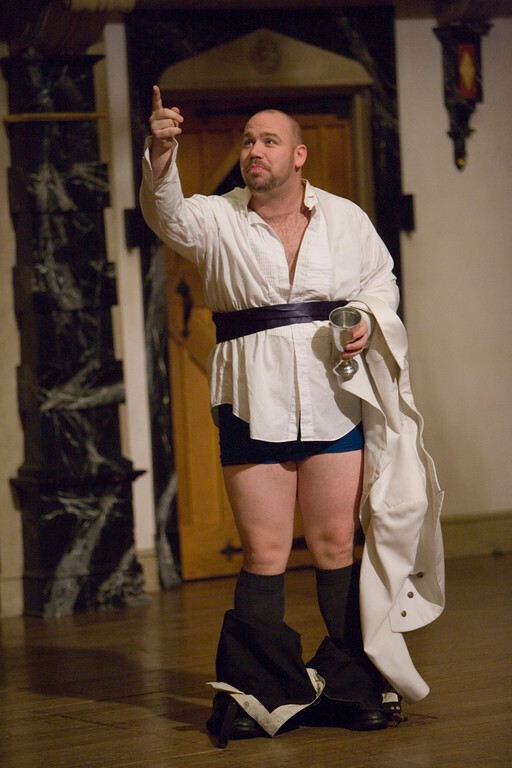 Rick Blunt in MACBETH. Photo by TOMMY THOMPSON. 2008. 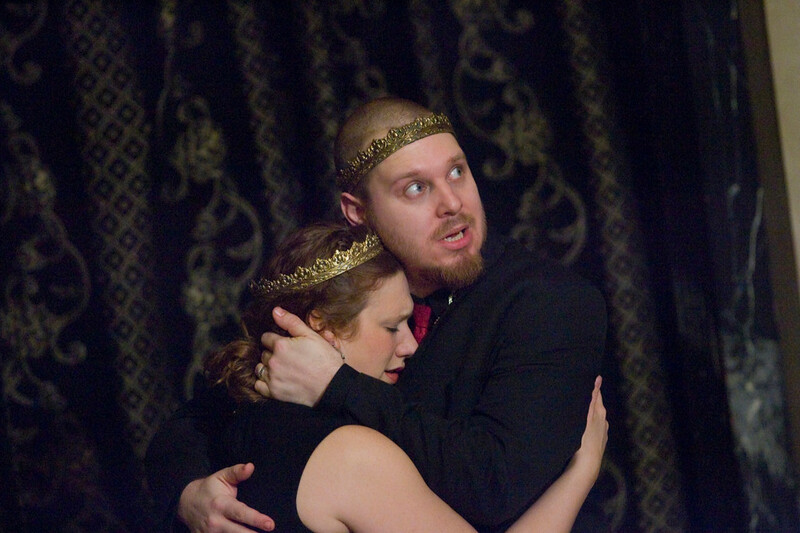 Allison Glenzer and Benjamin Curns in MACBETH. Photo by TOMMY THOMPSON. 2008. 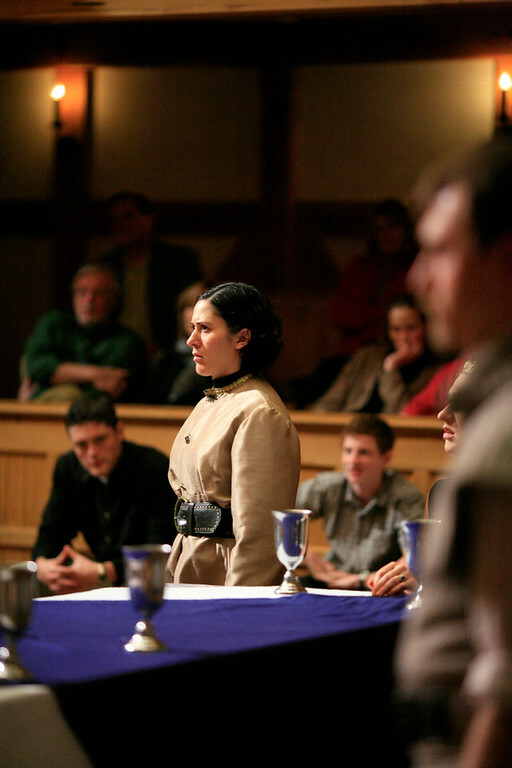 Alyssa Wilmoth in MACBETH. Photo by TOMMY THOMPSON. 2008. 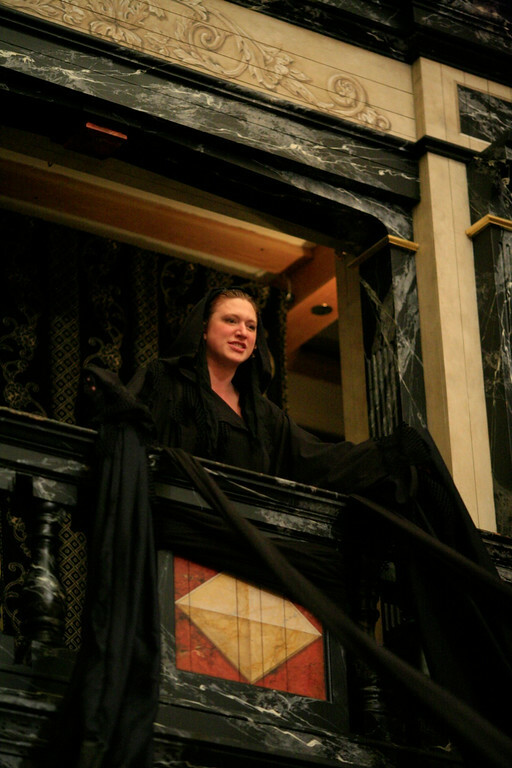 Allison Glenzer in MACBETH. Photo by TOMMY THOMPSON. 2008. The cast of MACBETH. Photo by TOMMY THOMPSON. 2008. 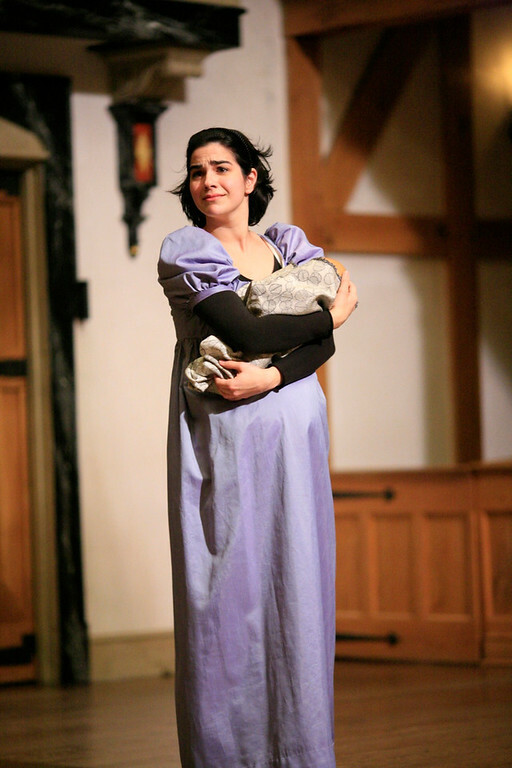 Joan Sacco in MACBETH. Photo by TOMMY THOMPSON. 2008. 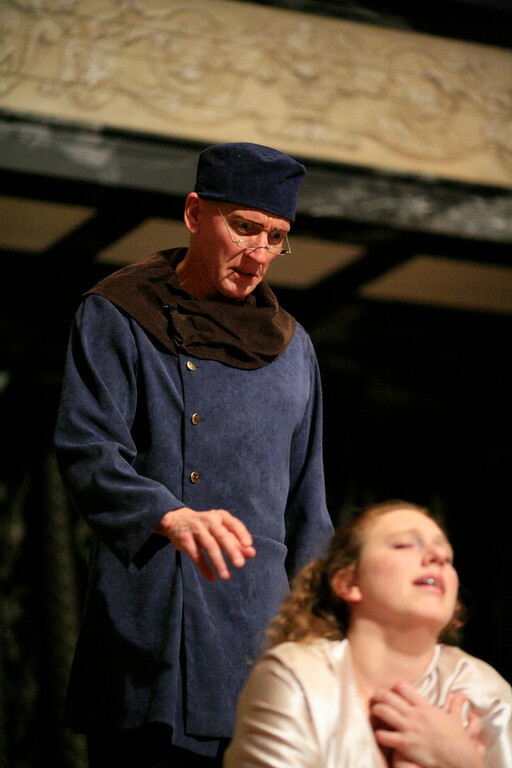 David Loar and Allison Glenzer in MACBETH. Photo by TOMMY THOMPSON. 2008. “If it were done,” says Macbeth, contemplating the murder of his king and kinsman, “’twere well it were done quickly.” To be true to its theme, the play has to be quick, and at 2200 lines it is Shakespeare’s shortest tragedy (Hamlet, his longest, is 4200 lines). Macbeth is about a man and a woman who take the quickest way, and Shakespeare throws that “quickest way” into relief by juxtaposing it with the slower ways, the ways of nature. The Macbeths choose to shorten time through murder, to leapfrog over the natural process of coming to the throne, and in so doing they set themselves against the rhythms of nature, against growing things. 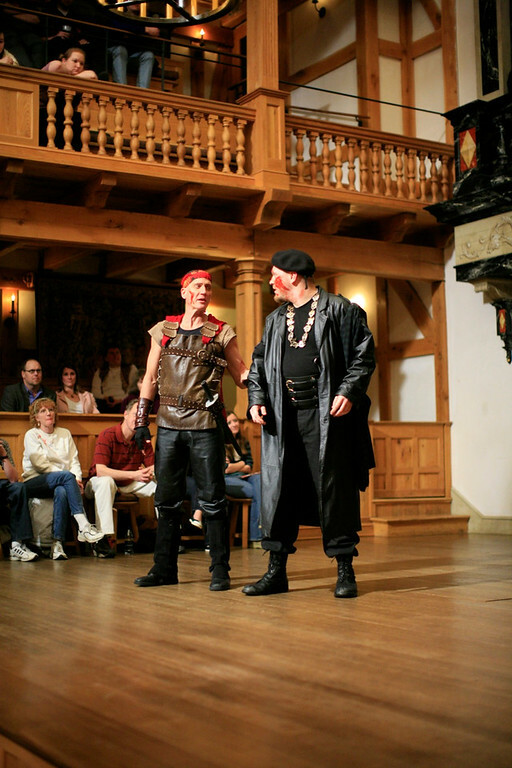 Duncan says to Banquo, “I have begun to plant thee and will labor to make thee full of growing” (1.4.28-29), and images of this sort of natural and slow fruition are everywhere associated with Macbeth’s enemies, primarily through children. Generation, slow generation, is the enemy of Macbeth, and he contemplates the natural progression of time with horror.